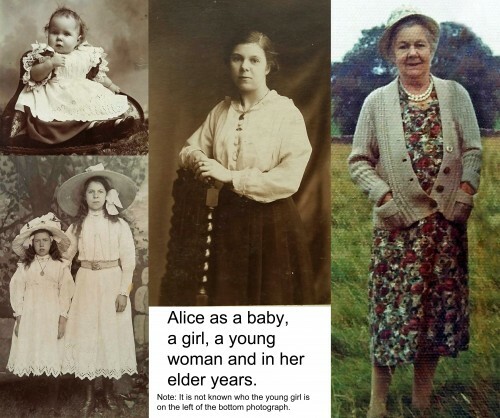 Alice Hallam lived in Quorn at 32 Wood Lane, all her life. She never married having lost her boyfriend on the Western Front in WW1. Her immediate family were her parents, Sam Hallam and Eliza Hallam (nee Oram) and her brother William Edward Hallam. The later photograph was taken at Bradgate Park in 1973. More about the Hallam family can be found in artefacts 135, 1868, 1909, 1975 and 1976.